Today most of your business communication is done via e-mails as they are not only formal and legitimate but also convenient and cost effective. Gone are the days, when one used to receive dozens of seasonal greetings via post or any other direct marketing content. With the advent of technology and spread of internet, newsletters and emails have already overshadowed the other modes of written communication. Hence due to its wide spread importance it is very critical to have proper email designed which is easy to view and is compatible with various operating systems. When it comes to the structure and make of an e-mail, it has to be done with precision and a dash of creativity, for the fact that its content, make, design, feel should be one with a brand's name. It must always have a touch of innovation into it and never at any cost repetitive. 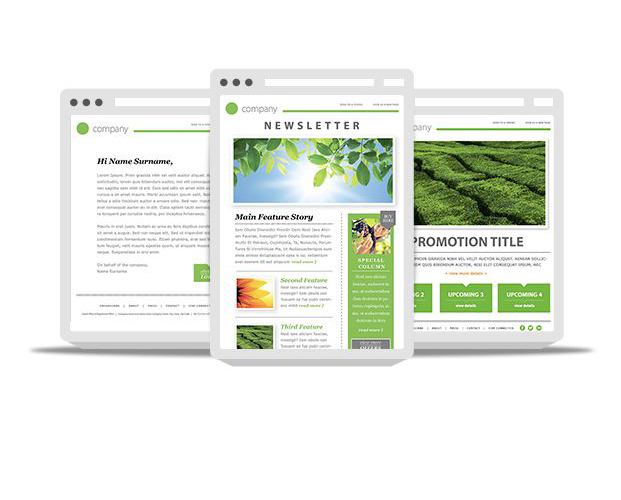 All in all, a potent e-mailer or newsletter with the help of all modern advancements see to it that people don't just ignore it as spam but rather go through the content thoroughly and think positively of the brand as well.